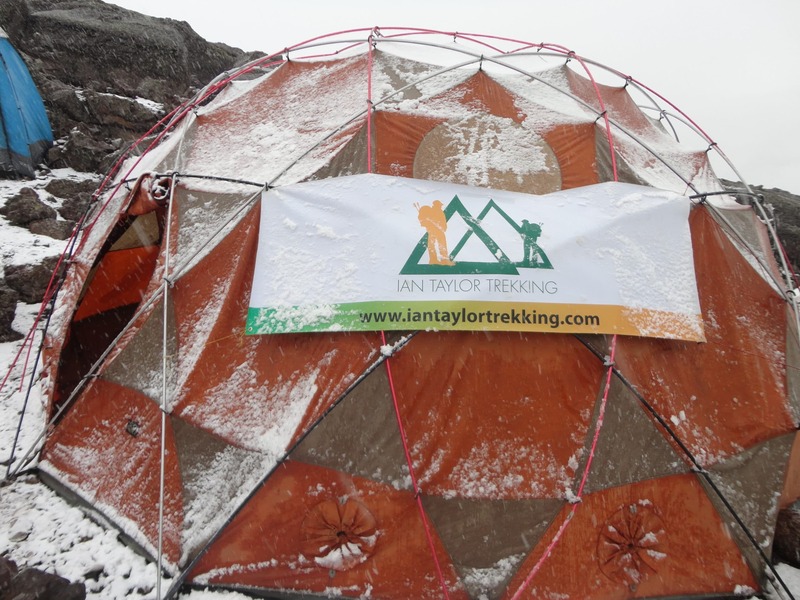 We have amazing food, Mountain hard wear Trango 4 tents, flying doctors insurance cover, our own full time professional mountain staff on the ground in Tanzania to help you achieve your goal of standing on the roof of Africa. You just need to come with good physical conditioning, we will help you get prepared. 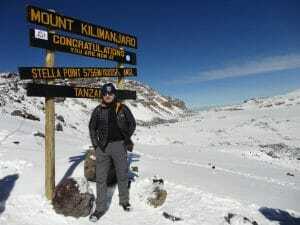 Kilimanjaro Lemosho route gives you the best acclimatization and scenery on the mountain. Having the right team for your Kilimanjaro climb is essential in making this adventure a success. 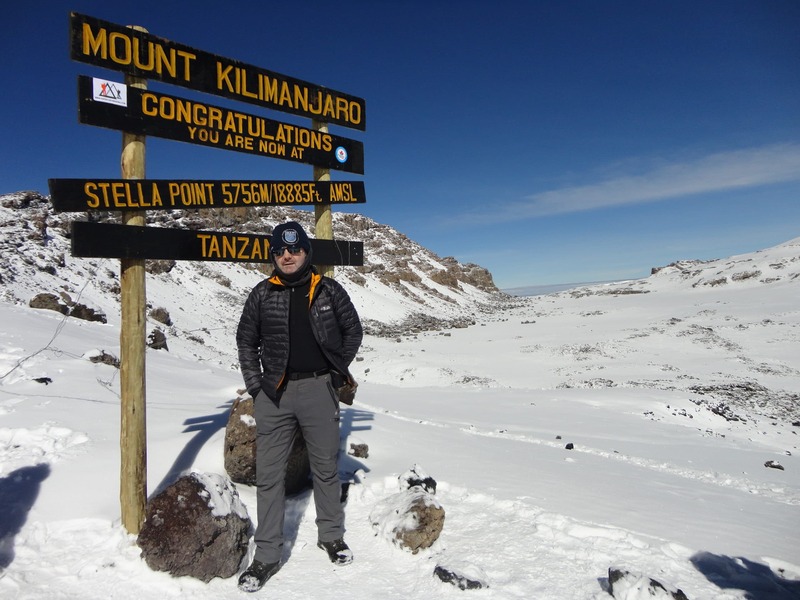 Ian has climbed Kilimanjaro 30+ times and will help you prepare for your Kilimanjaro adventure. We have 98% success rate, second to none. Although Kilimanjaro is not a technical peak, its success rate changes from year to year but normally 42% – 48% make it to the summit. People are continually underestimating the high altitude and trying to climb it in less than seven days with little understanding of how the lack of oxygen effects the body. That is why we choose to offer Kilimanjaro Lemosho route. The Lemosho route is the most beautiful route and gives you an excellent acclimatization schedule. This rising traverse on the most appealing route on the mountain is designed with maximum acclimatization and summit success in mind. We have 98% success on this route. WATCH OUR PACKING VIDEO. 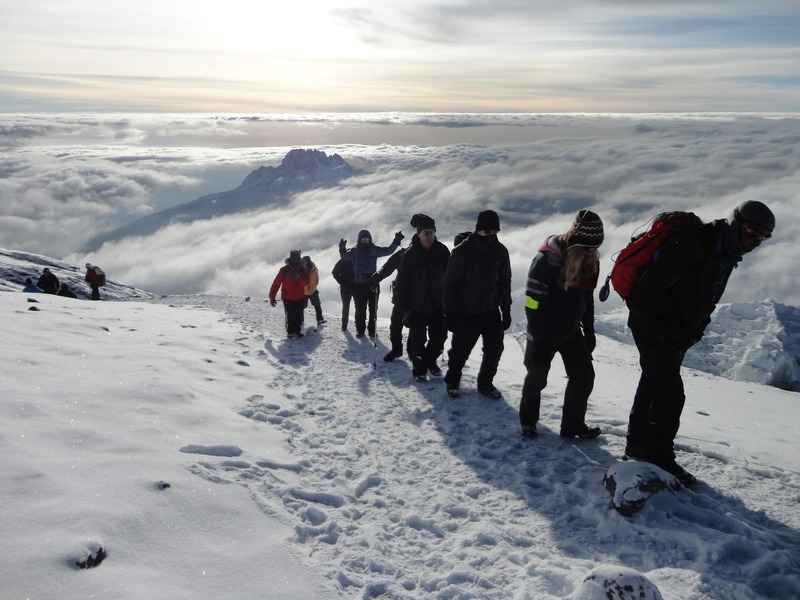 Check our our TOP 10 TIPS for a successful Kilimanjaro climb. Click the different links on this page to find out all you need to know about climbing Kilimanjaro. 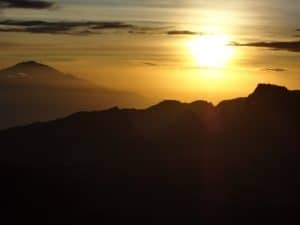 This unique Kilimanjaro adventure, climbs over nine days. Read our daily distances on the mountain. After flying into Kilimanjaro International Airport and spending our first night in the town of Arusha. We use Lush Gardens business hotel or the outpost hotel as our base. We will begin the climb from the Londorossi Park Gate, located on the western side of Kilimanjaro. Read our top 10 tips for a safe and successful Kilimanjaro climb. Read about the challenges you will face climbing Kilimanjaro. After breakfast at the hotel, we drive to the beginning of the trail. We will check in at the national park gate, have lunch and then start the hike on the beautiful rain forest trails, rich in flora and fauna, which leads up to the the Shira Plateau. The Plateau offers spectacular views before we head up the southwestern side of Kilimanjaro, after 3 nights of good acclimatization we reach the height of 4,600m/ 15,091 ft. giving us views of the Lava Tower and getting close to the western breach of Kilimanjaro. From there we descend to the Baranco Camp 3,900m/ 12,795 ft. where we are then faced with the Baranco Wall, a steep 300m/ 948 ft. winding trail up to the mountain’s southern face. The route continues underneath the Decken and Rebman glaciers to the Karanga Camp 4,010m/ 13,156 ft. The follow day we head to camp Kosovo 4,800m/ 15,748 ft. our last stop before the summit and sleeping in the crater of Kilimanjaro. We will leave around 5am in the morning for the steady but very strenuous ascent to Uhuru Peak. The last 200m/ 657 ft. to the carter rim our the most difficult. You need to get your breathing right and you will make it. It takes another hour to the summit and you are there. After enjoying the summit, we will move down into the crater camp at 5,730m/ 18,800 feet of Kilimanjaro and spend the rest of the day relaxing and exploring the unique crater of Kilimanjaro. You will hopefully get some sleep. 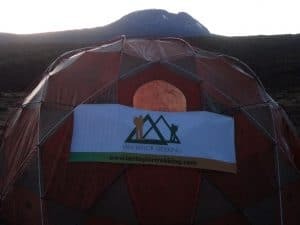 You will get up for an early breakfast and sunrise view over the top of Kilimanjaro and then move lower to Mweka camp 3,100m/ 10,170 ft. for the night. Our final day of trekking will see us heading towards the Mweka Gate and back to Arusha and our comfortable hotel by 4pm. Kilimanjaro is generally on the to do list of every climber, trekker, walker and athlete in the world, and with good reason. 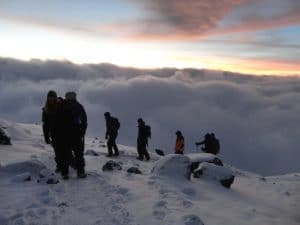 The journey to the top of Kilimanjaro Lemosho route is a beautiful, unique and inspiring experience unlike any other, and with the right preparation and commitment, your dreams can turn to reality on the highest free-standing mountain in the world! Ian has climbed Kilimanjaro 20+ times now and recommend climbing Kilimanjaro on this Lemosho route. Also check out our Everest Base Camp Trek or Treks in South America. Watch another one of our Kilimanjaro climbing videos below. Price start from EUR 3,450 / $3,950. Your day starts with breakfast and a 3 hour drive from Arusha 1,500m/ 4,921ft to Londorossi park gate 2,250m/ 7,382ft where the guides and porters prepare and pack the supplies and your equipment in the village. Lunch will be provided here along with mineral water. From here a forest track requiring a 4WD vehicle leads to the start of the Lemosho Route 2,300m/ 7,546ft, where we will start our trek. We will walk along forest trails to Mti Mkubwa (big tree) campsite at 2,800m/ 9,186ft, 3 hours. Our porters will arrive at the camp site before you will have your tent set up on your arrival. We use quality mountain hard wear tents. In the evening the porters will boil drinking and washing water and the chef will prepare dinner before you retire to your tent for the night. Night temperatures can already drop to freezing point at this campsite. Watch our video from Day 1. You rise early at Mti Mkubwa camp, after breakfast, you climb an hour and a half to top of the forest at 3,000m/ 9,842ft. and then the trail moves to more open terrain. We will then go up and down a few hills before arriving at our lunch spot. Tents will be set up and lunch served. After lunch the trail steepens up along a ridge heading towards the Shira Plateau. We will stop for many breaks along the way, making sure we stay hydrated and take our time, slowly walking toward the crest of the ridge. We will continue by traversing across the Plateau where we will be rewarded with spectacular views back into the rain forest and the summit comes into view. We will then head down hill towards Shira Camp One at 3,500m/ 11,482ft in the moorlands of Kilimanjaro for our second nights sleep. Watch our video from Day 2. After an early start, we have a gentle walk across the Shira plateau which leads to Shira Camp Two on moorland meadows next to a beautiful stream 3,850m/ 12,631ft. By now you will be able to see, in an easterly direction, the Western Breach Route up Kilimanjaro with its stunning glaciers. There will also be stunning sunset views across the dormant Shira volcano. The porters will boil drinking and washing water, before serving dinner. As this camp is quite exposed, it can be substantially colder than the previous night, with temperatures dropping below freezing. Watch our video from Day 3. The route now turns east into a semi desert and rocky landscape surrounding the Lava Tower, where you reach an altitude of 4,600m/ 15,190ft after approximately four/five hours of walking. Lunch is served in a designated area before ascending the rocky scree path to the Lava Tower. This is definitely the toughest day so far. 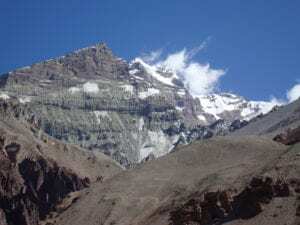 It is normally around this point, where for the first time, some climbers will start to feel symptoms of breathlessness, ill humour and headaches due to the high altitude. After lunch you descend again by almost 680m/ 2,231ft to the Barranco camping area and after reaching the high altitude of at the Lava Tower, the true acclimatization benefit of this day becomes clear. This descent to Barranco camp takes about 2 hours and offers great opportunities to take some beautiful photographs of the Western Breach and Breach Wall. The camp is situated in a valley below the Breach and Great Barranco Wall, which should provide you with a memorable sunset while you wait for your dinner. Watch our video from Day 4. After spending a night under the Great Barranco Wall, we make our way up this awesome looking obstacle, which in the end normally turns out to be easier than anticipated. Topping out just below the Heim Glacier at 4,200m/ 13,779ft, you now appreciate just how beautiful Kilimanjaro really is with the spectacular views. The route then heads down through the Karanga Valley over intervening ridges and valleys, and then joins up with the Mweka route. There can be amazing panoramic sunset views from the Karanga Camp while we enjoy our evening at 4,010m/ 13,156ft. Watch our video from Day 5. The first part of the day after breakfast is a slow walk to the crest of the ridge, then we will cross a plain and after another hour or so, we reach the Barafu Hut in 3 hours. 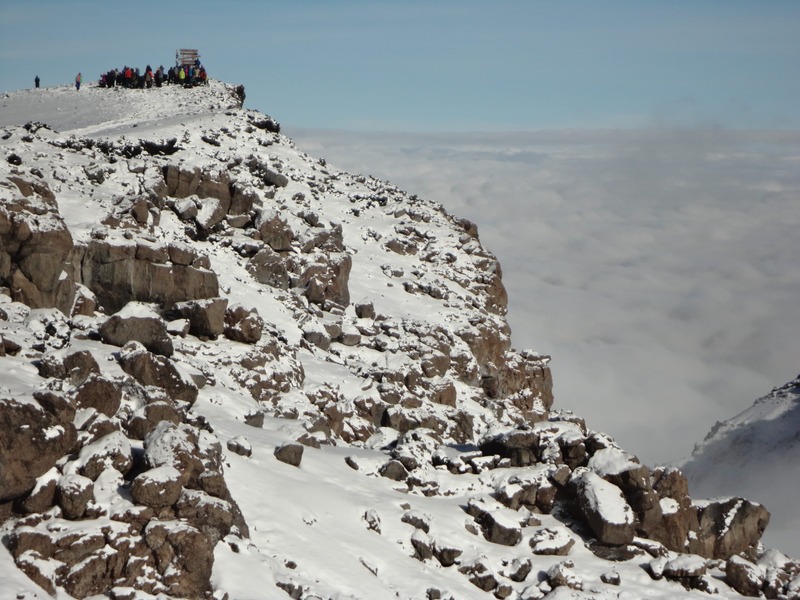 From Barafu hut we will continue on an additional hour to Kosovo camp at 4,800m/ 15,748 ft. We will move away from the crowds to a more secluded Kosovo camp higher on the mountain. From here, the summit is now a further 1,095m/ 3,592 ft. We aim to arrive by Lunch time. 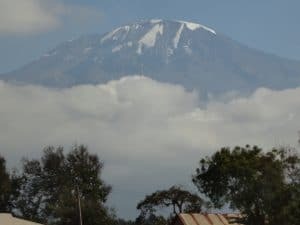 As the excitement builds we are getting closer to your ultimate goal of standing on the summit of Kilimanjaro and sleeping in the crater of this giant Volcano. We will get a good nights sleep and rise early for the next stage of the climb. We will spend some time preparing equipment for the summit attempt. You will get dressed and ready for your summit attempt. You will retire to your tent to get as much rest as possible. Watch our video from Day 6. We will rise around 6 am, and after a full breakfast, we will move up to Stella point. We head in a north-westerly direction and ascend through heavy scree towards Stella Point on the crater rim. This should take 5 hours. The journey to stella point is mentally and physically the most challenging on the route. At Stella Point 5,756m/ 18,885ft we will stop for a short rest, we will turn down into the crater. It will take about 25 minutes to reach the real crater of Kilimanjaro’s volcano and camp will be set up for you. After some rest and once everyone is feeling ok we will explore the crater and have the unique experience on is this famous and unique destination. We will have Lunch and dinner and watch the sun set from the top of Kilimanjaro. We will then get some rest before an early breakfast. Watch our video from Day 7. After an early breakfast 5am, we will start moving towards the summit. We will enjoy the sunrise view and start the journey to the summit of Mount Kilimanjaro. It will take 1 hour 30 minutes to reach the top. We will celebrate the unique experience and then continue back down past Barafu camp and an additional 2 hours back to High camp where we will have lunch. We will have a short, well-deserved rest. At high camp or the old Millennium camp we are now at 3,800m/ 12,467 ft. After lunch we will continue down to the Mweka Hut at 3,100m/ 10,171ft. This route will take us down the rock and scree path into the moorland and eventually into the forest with lots of downward steps. The camp is situated in the upper forest and mist or rain can be expected in the afternoon. Dinner and washing water will be prepared as well as drinking water. Watch our video from Day 8. After an early, and well-deserved, breakfast, it is a short and scenic trek back through the rain forest to the park gate. At Mweka gate 1,900m/ 6,233ft. you sign your name and details in a register and successful climbers will receive their summit certificates. Those climbers who reached Stella Point are issued with green certificates and those who reached Uhuru Peak receive gold certificates. From the Mweka Gate we drive back to Arusha for a long overdue hot shower, dinner and celebrations!! Climb Kilimanjaro and sleep in the crater is ticked and onto planning your next adventure. Do you have what it takes to Climb Kilimanjaro and sleep in the crater. if this information excited you. Take the next step and CONTACT US. We can help you train, prepare for your Kilimanjaro climb. Join us Climb Kilimanjaro and sleep in the crater and do something very few people achieve on Kilimanjaro.